Shannon Z. Petersen is a business litigator and the Managing Partner of the San Diego (Del Mar) office. He co-leads the firm’s TCPA and consumer class action defense teams. Other business claims, including breach of contract, misappropriation of trade secrets, defamation, unfair business practices, false advertising, fraud, breach of fiduciary duty, negligence, wrongful foreclosure or repossession, unfair debt collection, etc. 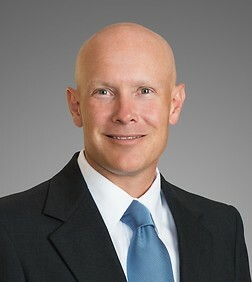 Dr. Petersen represents clients in a variety of industries, including financial services, retail, healthcare and others. Victory following two jury trials, one bench trial and four arbitrations. Dismissals of many TCPA privacy class actions following motions. Obtained nearly $8 million in settlement for a plaintiff business in a misappropriation of trade secrets case. Obtained terminating sanctions and default judgment against a defendant in a defamation case for destroying evidence. Defeated class certification and obtained outright dismissal in late fee class action. Compelled arbitration and enforced a class action waiver in many cases. Presenter, “The Telephone Consumer Protection Act,” Long Beach, CA, September, 2016. Presenter, “What Does The Telephone Consumer Protection Act (TCPA) Mean For Financial Institutions,” Long Beach, CA, January, 2016. Presenter, "Effective Arbitration," to the Association of Business Trial Lawyers, San Diego, CA, September 2014. Organizer and Presenter, Association of Business Trial Lawyers Trial Skills Seminar, San Diego, CA, October 2012, 2010, and 2008. Speaker, Continuing Legal Education Presentation on Receiverships, San Diego, CA, August 2008. Dr. Petersen has taught courses at the University of Wisconsin, Madison, and the University of Montana, Missoula.